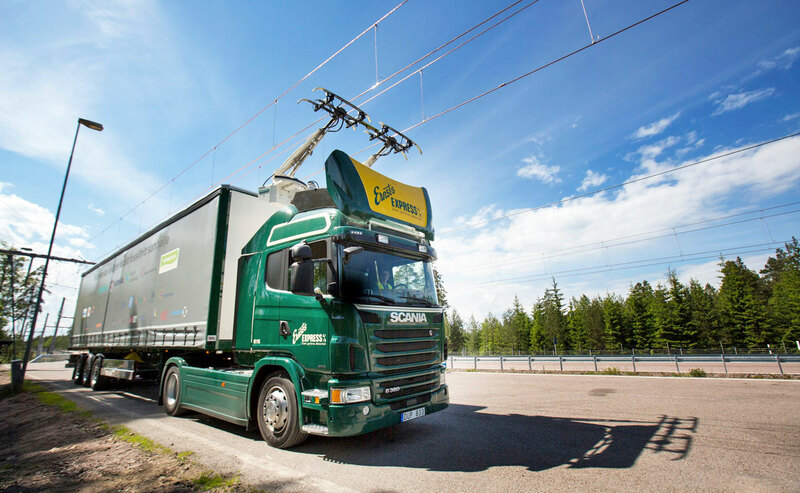 The problem with electric vehicles is that they need big batteries to store energy, in Sweden they decided to simply use the same method that so far has worked very well for trains: overhead power lines. The electric stretch of this motorway spans only 2Km (1.2 miles) but it serves as a proof of concept in real word usage that it works. This system is though for trucks and other heavy vehicles, which could cruise along for hundreds or thousand of miles on electric power alone without worrying about battery technology or fuel cells. This would in fact be equivalent to a "road train" that could reach places the regular rail road doesn't reach (though I still think trains are severely under-used, and should be promoted as an efficient and clean form of transport - the electric ones, of course.) Even though I don't think any country will soon install overhead power lines over the thousands of miles of its roads, it's likely it would be a much cheaper and realistic alternative to other futuristic proposals, like inductive power lines embedded in the road itself to wirelessly charge the vehicles. Guess we'll have to wait a couple more decades to see if any this really becomes the norm.